I had thought the title was either "Children of Eve" or "Eve's Children" but searching turns up several books with those titles, none of these are the right one. Some sort of environmental breakdown had occurred on Earth long before the events of this story. Whatever it was hadn't happened quickly, though, as the human race had time to establish a project that took YEARS to prepare for, which involved sending ships out into space to settle humanity on other worlds. We know the project took years to develop, as the main character remembers her parents working on it when she was a child. The plan was to send carefully selected crews on these ships, in suspended animation, along with a cargo of human DNA. Something went wrong with this particular ship and main character (Eve?) was the only crewmember to survive the suspension process, she then had to basically rear her ship's contingent of children by herself. Children of Eve by Isabel Constance Clarke. Possibly Eve's Rib by Bryn Chandler. A thousand of the finest humans are chosen to flee war-torn Earth where the death knell rings for mankind, but only Eve survives the journey. When the ship's computers create new children, Eve vows to teach them only peace and dignity - until challenged by the very embodiment of evil. 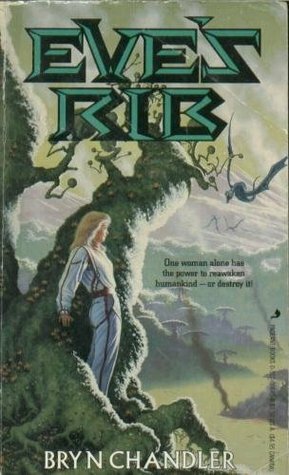 Science-Fiction Novel - Female Mathematician - Late '90s?